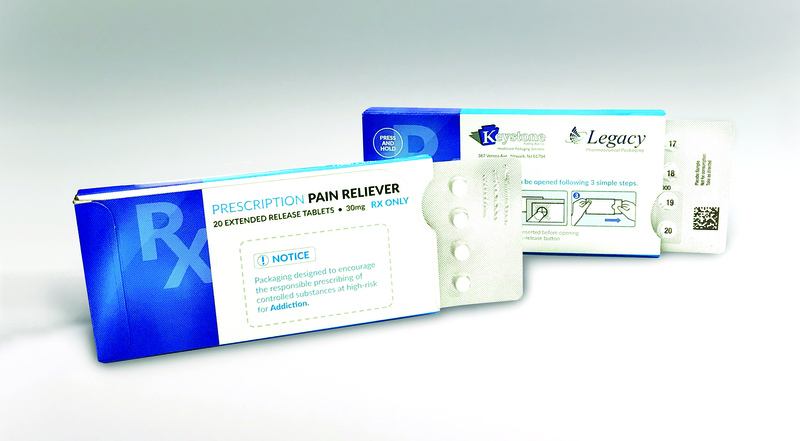 29 Aug 2018 --- Designer and cGMP manufacturer of paperboard packaging solutions Keystone Folding has introduced a customizable Ecoslide-RX packaging design which is seen as a tool to combat the ongoing opioid crisis in the US. This updated Ecoslide-RX package is designed to limit dosages in an effort to curb overdoses while providing added benefits for safe dispensing. The lower dose count Ecoslide-RX was introduced in response to efforts by the FDA and the Institute for Safe Medication Practices (ISMP) to implement product packaging changes that deter opioid abuse. In an effort to combat dependency and overdoses, the design of the Ecoslide-RX allows doctors to prescribe smaller quantities of opioid medication via limited days of dosing presented in blister packs. The packaging also provides numerical identification of each dose, eliminating the possibility of pill-count errors. Major benefits of Keystone’s original Ecoslide-RX package are also incorporated. The pack includes a reclosable locking feature offering consumers a safe yet streamlined experience. Child-resistant (F=1) yet senior-friendly, Ecoslide-RX is also versatile by design, meaning it can be adjusted to accommodate patients with dexterity issues. Additionally, the blister pack’s broad format allows for pictographs and larger texts on all sides for easier patient instruction and accessibility. Click to EnlargePer its name, Ecoslide-RX also is eco-friendly: Comprised of 100 percent recyclable paperboard, the packaging separates easily from its internal blister for easy recycling. 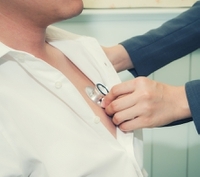 The pharmaceutical packaging industry has seen recent innovations such as the digitalization of the e-health market with August Fallers digitalized folding carton, coined “Medical Prescription,” which supports patient’s compliance with regard to medication intake. Furthermore, Schreiner MediPharm’s multifunctional Covert-Hologram Seal with an irreversible, holographic effect offers reliable first-opening indication and tamper evidence, plus counterfeiting protection. The seal also complies with the requirements of a new EU directive coming into force in 2019; The Europe-wide Falsified Medicines Directive 2011/62/EU which will require all pharmaceutical manufacturers to mark their prescription medicine packaging with a serial number and an additional tamper protection device.